Visual artist / photographer Lee Tucker has exhibited in galleries in the U.S. and England. He has had numerous one-man shows, including at Chicago's prestigious Steppenwolf theater in tandem with a production of A Streetcar Named Desire. 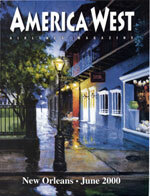 Tucker's art graces international collections such as those of Freeport-Indonesia, and the Omni, Wyndham, Holiday Inn, Westin and Ritz Carlton hotel groups. Also on the international scene, Tucker has album, cassette and CD covers to his credit. 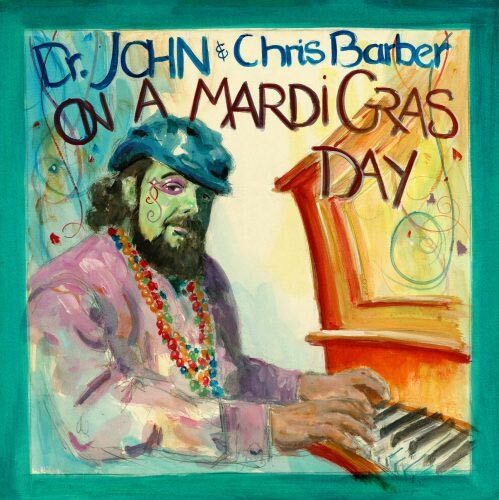 Such illustrations include, at right, Dr. John's & Chris Bar-bar's On A mardi Gras Day, and below, New Orleans on Parade. Lee specializes in representational art. Also a studio portrait artist, his commissions over the years include painting portraits of retiring Louisiana Criminal Court Justices. Tucker's been tapped by architects and interior designers across the U.S. to provide promotional photography, sketches, renderings and painting for five-star properties of such fortune 500 companies as Harrahs, Holiday Inns and the Sheratons. Tucker uses canvas and camera to express his vision. his focus moves adroitly, primarily between the urban mystique of cities in the Deep South, the pastoral grace of the Appalachians and the moments of elegance between people, no matter their station in life, no matter the settings in which he captures them. Through innovative use of light and color, reflection and shadow, Tucker captures soul in the commonplace, communicating soft, ethereal visions of the hard-edged world around him. Winner of the 2003 New Orleans Mayor's Arts Award for his artistic as well as his civic work, Lee has, over the years, contributed his time and talents to historic preservation and to arts programs for inner-city children. He's served as board member for new Orleans children's Arts Programs, as president and board member for Friends of J exackson Square, and as advisor to the board and board member for French Quarter Citizens for Preservation. In North Carolina, Tucker is a member of the Toe River Arts Council and Yancey County's Chamber of Commerce. Rheim Heating and Air conditioning Inc.